Koç University English Language Center (ELC) for Kids Intensive Boarding Program offers its participants between 9-13 years-old, a chance to practice their English with native speaker instructors and mentors in classroom settings as well as with outdoor activities. Our participants enjoy the comfort of practicing their English without the limiting conditions of exams, levels, and other various barriers; while an annually updated schedule supports their cognitive, physical, and social development. For participants between the ages of 9 to 13 who has some experience studying English and beginner conversational, reading and writing skills, Koç University English Language Center (ELC) for Kids Intensive Boarding program offers 5 hours of class instruction each week day. Our native teachers encourage development of conversational skills through structured speaking activities while building vocabulary through thematic readings and applications of the various, pre-selected, activity courses. Since there will not be any placement exams for our participants, their English levels will be determined through classroom activities and every participant will be treated accordingly with their English level shown in classroom by our TEFL (Teaching English as a Foreign Language)-certified teachers. Our team of teachers will also introduce and engage in activities that develop fundamental points of grammar and spelling through fun English language-based activities. Also, due to our small class sizes, the individual needs of each student is taken into account and instruction can be customized to meet their needs such as providing more advanced students with opportunities to research topics of interest and give formal presentations in English. After classroom hours, our participants will be attending the activities that our management team of psychologists and English teachers carefully selected for their age group as well as a variety of evening activities, such as parties and games. Combining both learning English in the classroom and living in the safe and comfortable environment at Koç University Rumelifeneri Campus, our campers get to experience and practice what they are learning outside of the classroom. Our participants attend recreational activities together and have many opportunities of practice their English with their new international friends. We pride ourselves in offering programs that go beyond simply lecturing students. 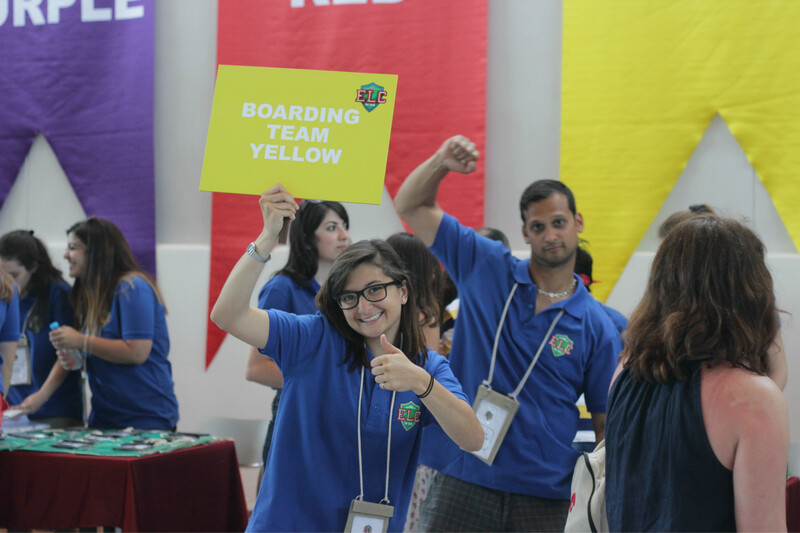 We see our ELC for Kids Intensive Boarding program as a unique learning opportunity for our participants; a chance to be coached by native speakers to engage in discussion-based learning with a diverse group of talented peers while developing their English language skills in ways that may not be included during the academic year. Our small class sizes ensure that teachers get to know each participants’ personality and areas of interest. 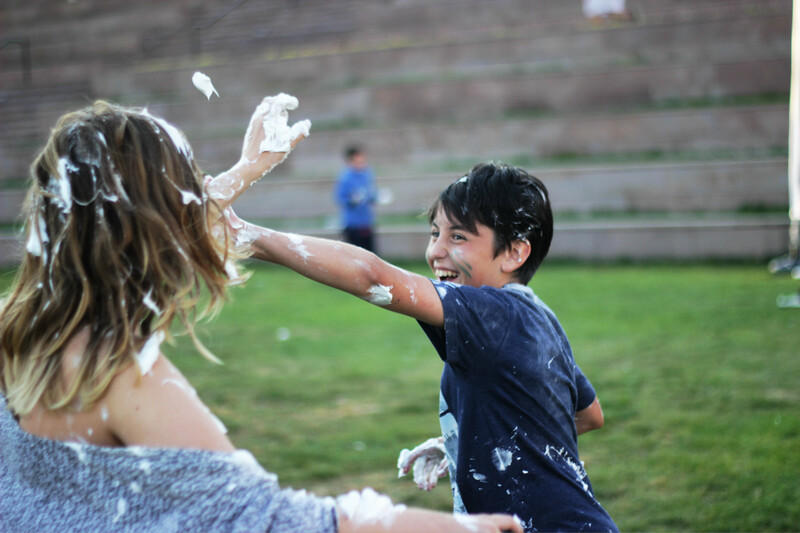 Our staff and facilities offer ELC for Kids Intensive Boarding program students comfort, convenience and care helping them make the most of this valuable opportunity. Classroom hours include many different types of activities such as vocabulary games and tournaments as well as weekend activities which are all engaging and fun. We pay particular attention to plan activities in a way that balances physical, social, and artistic development. During our process of creating our schedules every year, as the management team we make sure that we select the activities that are not commonly known or used in schools and other educational institutions. The reason is simple; we do not want our participants to have to compete and we want to create an environment for everyone to practice their English while improving their social skills without feeling afraid of being judged. This way, we hope to give all of our participants a chance to have an amazing summer camp experience. One of the core pieces of our program is our mentors who are native English speakers. Our management team of psychologists and English teachers carefully selects our team of mentors every year from a list of candidates who are at least finished with their first year of college or university graduates with a degree in Social Sciences, who have previous camp counseling experiences, and who love to work with kids. Throughout the summer, our team of mentors and instructors accompany our participants from classroom hours to outdoor activities and help them have the time of their lives. Our groups will be determined accordingly with participants’ ages, and every group will have a maximum of 25 participants. For participants between the ages of 9 to 13, with participants who have some experience studying English as well as beginner conversational, reading and writing skills, Koç University English Language Center (ELC) for Kids Intensive Boarding program offers 5 hours of class instruction each week day. Each group will have their own schedule for activities in the afternoon which will change every day, rotating every activity throughout the week. Our small class sizes ensure that teachers get to know each participants’ personality and areas of interest. We pay particular attention to the activities that we put in our schedules so that they are a well-balanced combination of physical, social, and artistic activities. During our annual schedule formation process, the management team selects the activities that are not commonly known or used in schools and other educational institutions. Amongst the activities that we have picked for our participants you may find Drama, Coding, Capoeira, Funball, and Photography as examples. Studies include many different types of activities such as vocabulary games and tournaments as well as weekend activities all of which are engaging and fun. Our staff and facilities offer ELC for Kids Intensive Boarding program students comfort, convenience and care, helping them make the most of their educational opportunity. The reason of selecting these activities, which currently underused or unused in Turkey, is simply because we do not want our participants to have the pressure of competition, and we want to create an environment for everyone to practice their English and have a chance to improve their social skills without feeling afraid of being judged. You may look at our sample schedule above for further information. Our participants continue to have the chance to use all the facilities in Koç University Rumelifeneri Campus during their nights as well as their days over the Intensive Program. Throughout ELC for Kids Intensive Program, our participants stay at the dorms which are used by Koç University students over the course of the academic year. In student dorm buildings, the available rooms are double, triple, and quadruples. While planning the accommodations, even though we determine the roommates by drawing of lots, we make sure that participants of the same age group get to stay in the same rooms and floors. In every floor, there are two sets of shared bathrooms and every room has its furniture for every individual and a shared mini-fridge. If you would like, you may visit Koç University Dormitory Management website for further information click here. Our participants are served breakfast, lunch, and dinner in addition to two snacks every day. Our catering menu is prepared by the restaurants located in the campus, with healthy and balanced meals.